On November 4, 1987 as the sun set in Lahore, shock and disbelief gripped the subcontinent. Against the tide and defying all expectations, Pakistan's campaign in the Reliance World Cup came to an end as they lost to Australia in the semifinals. Pakistan, along with co-hosts India had started as joint favorites and were widely tipped to meet in the finals. A day later, India too lost their semi-final in Mumbai. The dream India-Pakistan final at the Eden Gardens was not to be. Pakistan's inspirational captain Imran Khan decided to bid adieu to the game. If fate had it's way, it would have signaled the end of an era for Pakistani and world cricket. 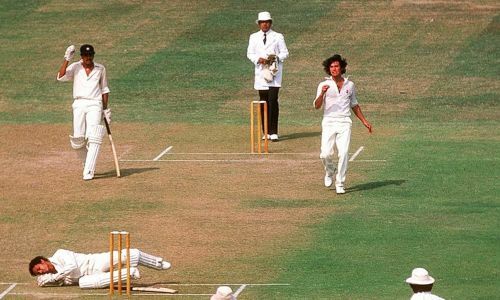 Imran Khan was a fighter, however, and at the request of Pakistan president Zia-Ul-Haq, the all-rounder returned to cricket and achieved the impossible. For Imran Khan, the 1992 World Cup in Australia, was a heroic tale, good enough to inspire generations to come . It was widely accepted in the 1980s (and before) that cricket's power center laid within the precincts of Lords and with the TCCB (Test and County Cricket Board) in England, who along with the Australian Cricket Board wielded their clout over the "lesser powers" of the cricketing world. It was quite surprising then that Australia didn't host the Cup until the fifth edition and even more surprising that the Cup reached the shores of the Indian subcontinent even before it reached Australia. The Cup left England for a reason. India's victory at Lords in 1983 lead to an immense surge in the popularity of the one-day game in the subcontinent. Cricket officials in India were quick to realize that if the tournament moved to India it had the potential to be a stupendous success. There were challenges with regard to finance and infrastructure, but it was a risk worth taking. So, who would bell the cat? 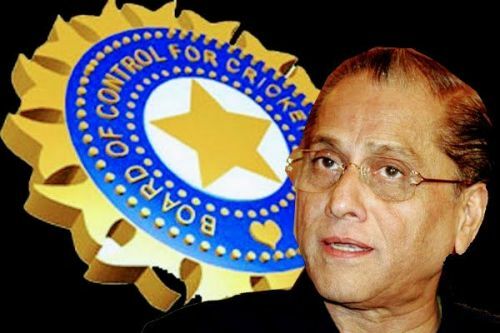 Jagmohan Dalmiya was a shrewd Indian cricket administrator with a business acumen to match. His desire to bring the World Cup to the subcontinent after the first three editions (1975, 1979, and 1983) were hosted in England was spearheaded by a joint-movement of the Indian and Pakistani cricket boards who sunk their political differences for a common cause. A rotational system for hosting World Cups was suggested and put forth before the International Cricket Council with strong opposition from the TCCB. As per the proposal, India and Pakistan would co-host the 1987 edition of the World Cup. The Asian coalition, however, needed more allies to achieve this objective. It was agreed that per the rotational system, Australia would host the fifth edition of the World Cup, an offer that made the Australians offer tacit support. The dream became a reality and the hallowed tournament moved out of its traditional domain to the Indian subcontinent and just over four years later, to the shores of Australia and New Zealand. In a departure from tradition, the organizers ensured that there would be changes and innovations in the 1992 World Cup that would add a typically Aussie flavor to the tournament which would also set an irreversible trend. Colored clothing, previously used in the Benson and Hedges World Series matches replaced white flannels. A white ball replaced the red cherry and a black sight screen made way for the white ones. Matches would be played after sunset, as Day-Night encounters, under flood-lights to enable office-goers to come and witness the matches after work even on weekdays. Television audiences were the key and all the changes above were brought about in order to boost viewership and produce pictures that would capture the hearts and the imagination of audiences worldwide. Stump-vision with microphones, stunning replays, and multiple cameras to cover every possible angle ensured that television viewership crossed the billion mark for the first time. Yet, not all was well. The World Cup was played in February and March and the late summer rains in this part of the world were brief but sudden and the downpours always dampened the cricket. So, the organizers were prepared no doubt? 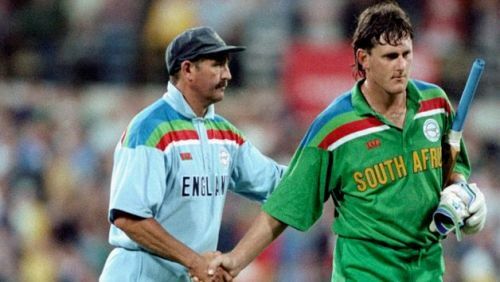 The rain rules for the 1992 World Cup were bizarre to say the least and had a catastrophic outcome which in many ways reduced the tournament to a circus, breaking many a heart; particularly South African ones. The apartheid regime was ending and the world welcomed South Africa to the World Cup for the first time. As it turned out, they were not just welcome visitors but blazed through the tournament putting down one powerful team after another. The victims included the hosts Australia, both teams from the Indian subcontinent, the mighty Windies, and African neighbors, Zimbabwe. It was an incredible performance and the world watched, surprised and stunned at the same time at the dramatic entry of Kepler Wessel's side. They met England in the semi-finals where England batted first. South Africa needed 252 runs from 43 overs to win. The rain intervened and the target was revised in keeping with the rain-rule which had been formulated for the first time in the 1992 World Cup. South African needed 22 off 13 balls which seemed achievable with Brian McMillan and Dave Richardson at the crease. Post the rain, however, the scoreboard showed a revised target of 22 off 7 balls and then, inexplicably, showed 22 from 1 ball. In ridiculous fashion, South Africa's dream was over. The rule was replaced by the Duckworth-Lewis method subsequently but for Keppler Wessels, Allan Donald, Jonty Rhodes and the South Africans, their first World Cup campaign was over. For Australia's "cousins across the ditch", it was a dream opportunity to host the cup and they did make the most of it. Captain Martin Crowe inspired his team to eight wins in the league stage, with a solitary loss to Pakistan. Using innovative methods like using spinner Dipak Patel to open the bowling and with Mark Greatbatch in the form of his life, the Kiwis looked well on their way towards a maiden World Cup dream. In the semi-finals, Martin Crowe, who was a captain par excellence met a team with a leader no less inspirational, and maybe, a tad more hungry to win. 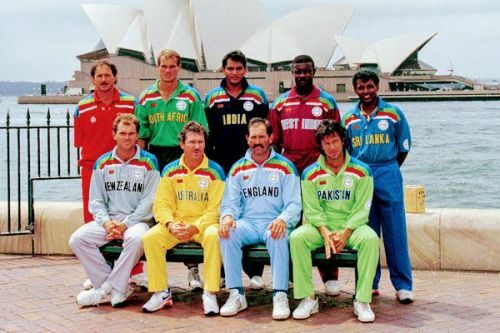 Imran was 40, and no doubt this would be his last World Cup. Fate intervened too and Martin Crowe sat out because of injury in the semi-finals when his team were fielding. Crowe had a plan to use lots of bowlers with short spells to unsettle the batsmen. Sitting out, there was little he could do to execute his plans and John Wright (the stand-in skipper) did not heed his advice to do the same. New Zealand had been confident of winning but Imran Khan had other ideas. He had failed to travel to the Eden Gardens in 1987, but he was determined to travel to the Melbourne Cricket Ground and becomes Pakistan's folk-hero for ever. In the finals Pakistan faced England, who started favorites. England had bowled Pakistan out for 74 in a league match earlier in the tournament before rain came to Pakistan's rescue and both the teams had split points. Wasim Akram sent opener Ian Botham packing with a duck. With England at 141/4, Akram bowled two dream deliveries to remove Allan Lamb and Chris Lewis to turn the match on it's head. England had all their man back in the pavilion for 227. Imran Khan had realized his dream and that of an entire country. He was later to say that the World Cup belonged to the sub-continent, thanking the Indian fans for their enormous support. A fairy-tale ending indeed it was but for those who were undone by the rules and by fate, the pain would last a lifetime. Martin Crowe lost his battle to cancer in 2016 and by his own admission, lived with the pain of the semi-final defeat all his life. For the Proteas, too it was a case of so-near, yet so-far and both New Zealand and South Africa are yet to win the Cricket World Cup.